BettinaTizzy“Could Disney-Pixar’s 3D film up lift virtual worlds?” this blogger asks. http://tr.im/lEkm – What do you guys think of this? @GaryPHayes? Cross-media 1.0 â€“ Push. Minor variations of the same content placed on different platforms. E.g. : A slight re-edit of the audio for podcast or a transcript diced and sliced for a making of type website and more of now, watch the TV show on the TV, web or the DVB-H or 3G mobile phone or an iPod video download. Cross-media 2.0 â€“ Extras. Content that is already being produced but not destined to be delivered and repackaged onto other platforms so it appeared to be â€˜originalâ€™ or at least specially created. More about the wonders of a good content management system than the true potential of cross-media. Cross-media 3.0 â€“ Bridges. 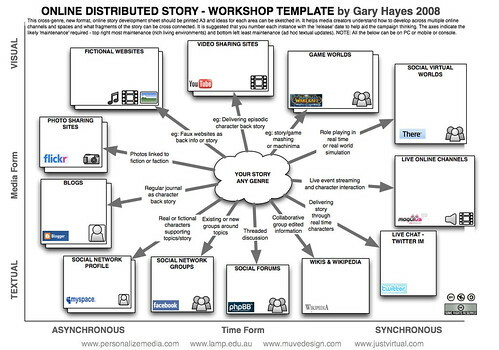 Where most innovative 360 thinking is currently rooted – where the content placed on the other platform is critical to staying in touch with the narrative or service.The narratives tease you towards investigating or moving (via a bridge) to another media form/platform. Cross-media 4.0 â€“ Experience. To some extent this is producer â€˜hands-offâ€™- in that they have created an environment, much like a game, that the participant/s â€˜livesâ€™ inside of, following their own path, personalizing the experience. A cross-media 4.0 property is at its height a creation, a collaboration with the audience across many devices, which evolves and grows a life of its own. 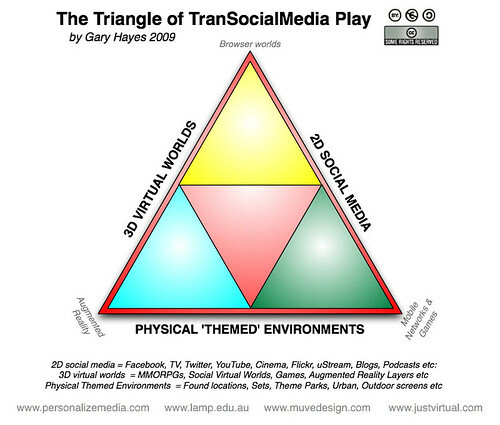 There are many who see transocialmedia play as purely marketing, there to sit on the coat tails of existing well known brands (such as AI, Halo, MacDonalds/Olympics) vs being of themselves for themselves. Admittedly there are a few of these scattered around but the player base is usually much lower. To finish a small, mini ARG transocialmedia play I designed last year called the Old Forest – which had a good mix of 3D mashed with physical world and a team social component. The story was fictional, looking at witches, spells and fires – you can find more detail about this and other mARGS on the Laboratory for Advanced Media Production wiki. 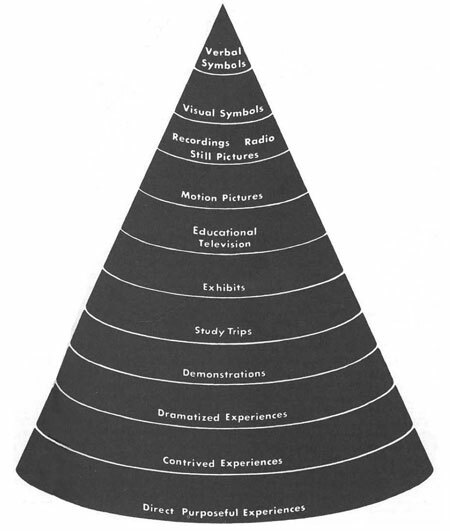 For reference here is a abridge copy/paste from a post on an immersion post from 2006 – looking at the factors that enable immersive experiences. SCALE – of the experience. The size of the screen and the amount of story world to explore has enormous impacts on immersion – as well as the detail of individual objects within the â€˜worldâ€™. One of the reasons cinema will exist for a long time is that the large dark room filled with people is a captivating environment. Now, imagine a cinema where the image is a locked off-shot, of a shared world and all the audience are controlling and representing different characters engaged in a common goal or story. Ummm. STORY – does the narrative engage. This is obvious, if there is nothing for you to be drawn along by (even your own story in some cases) then you will switch off. RESONANCE/CHOICE – How much control or agency do you have over the experience? Are your actions permanent and seen by all? Can you really do and say what you want – freedom of choice. True resonance is like a virtuous circle, you do something and there is a response that forever changes the environment. Like real life. The pushed media of TV, radio, cinema has zero resonance, it all happens in your head. Which is why stories â€˜haveâ€™ to be based on lifeâ€™s shared drama. In truly interactive models your actions have impact and will reaction will take place. ESCAPISM – or â€˜playâ€™. This goes back to my earlier point about the reason for play and associated spirituality. Is it as much about escaping reality or constructing ideality? Does the representational nature of these ‘experience’ worlds mean so much more subconciously than endless souless advertisements on TV, or another episode of a soap, or fomulaic hollywood film? Does selecting an identity that is impossible to achieve in real life become a most powerful addictive escape? I suspect all of the above. In terms of building â€˜playâ€™ – it should be as fun making it as doing it. I have mentioned before that sometimes authors of experience get so lost in the creation process they forget someone has to watch, play or take part in it! Then it is much weaker an experience.